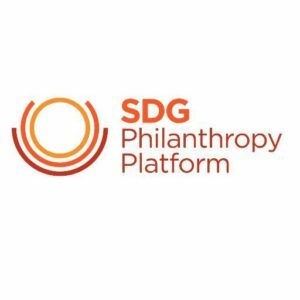 The SDG Philanthropy Platform informs and catalyzes collaboration through building awareness and connections between those working in the philanthropy sector and beyond. We share a belief that the ambitious Sustainable Development Goals (SDGs) are an important and effective new roadmap to a better world for all. We have brought together hundreds of foundations and philanthropists across many countries to create new partnerships to increase funding and create programs that will have greater, and more sustainable, impact on people’s lives. The SDGs weave together social, economic and environmental challenges and solutions, and their creation and endorsement by all the world’s governments represents the efforts and voices of millions of people globally. Launched by the United Nations Development Program, Foundation Center and Rockefeller Philanthropy Advisors in 2014, our Platform’s partnerships illustrate the dedication of foundations and philanthropists from North and South America to Asia and from Europe to Africa. One of CAF America’s featured partners for #GivingTuesday 2016, The SDG Philanthropy Platform & partner’s superlative work in the philanthropic sphere is one of the focuses of our campaign in the lead up to #GivingTuesday 2016. We will highlight their work around the world in creating strategic partnerships between the public and private sectors to help solve important social issues. CAF America is an official partner of the SDG Philanthropy Platform, which also includes; the United Nations Development Program (UNDP), Foundation Center, The Mastercard Foundation, Rockefeller Philanthropy Advisors, Ford Foundation and the Conrad N. Hilton Foundation. The SDG Philanthropy Platform (the Platform) has again been recognized in Ghana’s Sustainable Development Goals (SDGs) localization efforts. This is typified by SDG Philanthropy Platform Ghana’s membership of the SDG Implementation Coordinating Committee – a body formed to advise and shape Ghana’s SDG alignment with the national development framework. The body is led by the National Development Planning Commission (NDPC), and made up of representatives from civil society organizations, civil society SDG Platform, Ministry of Finance, Ministry of Foreign Affairs, Ministry of Local Government, Ghana Statistical Service, the Environmental Protection Agency, and the National Disaster Management Organization, among many others. Giving the Platform a seat on such an important Committee is a reflection of the government’s embrace of philanthropy as an equally important player in the localization of the SDGs in Ghana. United Nations’ Sustainable Development Goals—better known as the SDGs—are a set of 17 universal goals for global economic development, prosperity, human dignity, peace, justice, and partnerships. 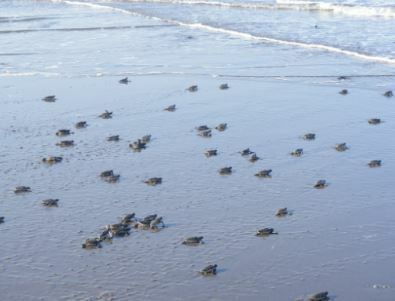 They have been agreed upon by virtually every nation on earth and will remain in effect until 2030. The SDG framework has managed to find common ground between the countless dissimilar and often opposing interests of various nations and has aligned all of these countries under the same agenda to improve the quality of life for people around the globe. It took a great number of very skilled development professionals more than three years, but they have succeeded in putting together a universal framework – one that fits the U.S. as much as it fits Somalia. saw good programs and bad, but I’ve heard that the province where I worked in Sudan has thrived even in turbulent political times. Philanthropy is a very dynamic field right now, in Asia and around the world, and it is an exciting time to be trying new approaches. The work of Rockefeller Philanthropy Advisors with foundations in the US, Europe, Asia, South America and Africa shows the real value in connecting across countries. Every country context for philanthropy is different due to both culture and traditions, and to different policies and laws, so we must understand the local context, but also take advantage of learning across borders. The United States became the first high-income nation to join Kenya, Colombia, Indonesia, as part of the SDG Philanthropy Platform. The global SDG Philanthropy Platform, managed by Rockefeller Philanthropy Advisors, the Foundation Center, and UNDP, brings together foundations and philanthropists across the world to build partnerships between philanthropic organizations, the United Nations, governments, civil society, and business to achieve the 2030 Sustainable Development Goals (SDGs). And that’s a conservative number. Though they may not have internalized all seventeen Sustainable Development Goals yet, foundations will contribute more than $360 billion toward their realization between now and the year 2030. Estimates as to the total volume of resources required to succeed on the ambitious global agenda run as high as $3.5 trillion, a sum far too large for bilateral and multilateral aid to cover alone. The remainder will have to come from private investment and philanthropy — and according to initial Foundation Center projections, foundations will do their part. Stay up to date on global charitable giving news & trends, read stories of philanthropy, and learn how the philanthropic landscape is changing. Photography by Steve Evans, unless otherwise noted.